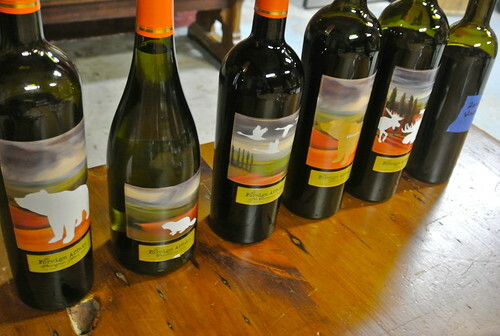 Much has been said and continues to be said about the growing fleet of appassimento-style wines being made in Ontario. It has led, at times, to sniping and criticism within the wine community and has proved to be a divisive topic. I really don’t understand it. Drying grapes, whether you do it in old tobacco kilns or in a controlled slow-drying facility constructed specifically for the technique, is just another tool in the toolbox. Winemakers have a lot of tricks at their disposal, from oak to fermentation styles to picking decisions to myriad other alterations, that adding another one is not really that big of deal. Yet, here we are, still jabbering on about it. The only thing that matters is whether consumers like it or not. They have the final say and do so by voting with their wallets. I don’t remember someone decreeing that all wine must be made to exacting standards determined by a chosen few. Diversity is what makes the world go around. And, for those wineries — there is a growing number of them of them now — using appassimento to varying degrees, it’s obviously working for them. The release last month of Foreign Affair’s The Conspiracy 2012 at Vintages brought another round of debate over appassimento wines. Now, Foreign Affair is not a newcomer to this style of wine. It has built its entire portfolio and winery around the Italian-inspired technique of drying grapes. Owner Len Crispino has invested heavily in the style and his wines are now synonymous with appassimento, from Riesling to Cabernet. And his loyal customers have beat a path to the winery’s doors to snap up his wines each and every vintage. Many others have followed in Crispino’s footsteps: Andrzej Lipinski (Colaneri, Big Head, Cornerstone, Burning Kiln), Graham Rennie (Rennie Vineyards), Roberto DiDomenico (Reif), Mauro Scarsellone (Ridgepoint) and the long-established Cave Spring Cellars La Penna from Angelo Pavan. Others are jumping on board including Pillitteri (using traditional Italian grapes) and Angels Gate and likely a few others who I don’t know. 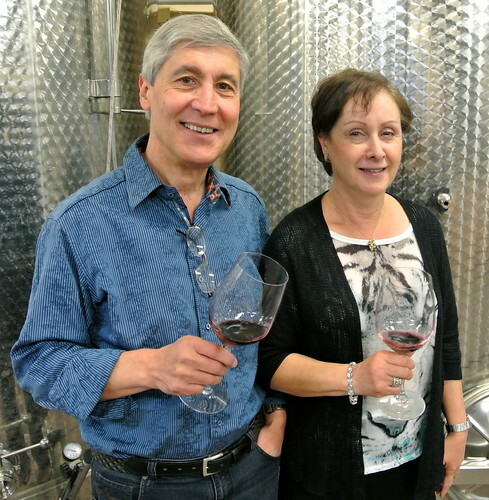 Check here for a story from Grower.org on the growing trend of appassimento in Nova Scotia and Ontario and also here for another in-depth story by Spotlight Toronto’s Mike DiCaro on the rising trend in Ontario with appassimento wines. It really doesn’t matter what we as wine writers and critics have to say about it. Consumers like what they like and could care a less if grapes are air-dried or not as long as it tastes great. For those looking for more concentration and complexity in their wines, appassimento can achieve that in most vintages in the cool climate of Ontario. But still the technique has its critics. The Toronto Star’s Gord Stimmell, for example, is not a fan and expressed his opinion last month in a post here about the proliferation of appassimento wines especially in Niagara. There wasn’t much he liked about the current crop. Curiously, his score for The Foreign Affair Conspiracy 2012 released at Vintages and made by Barclay Robinson was 84/85 when at least three other critics (myself included) rated it 90 points. He questioned the higher scores, which is fine, of course. Wine is totally subjective, always has been and is always will be. For Gord, it’s not his thing, at least not in Ontario. He went on to basically tear a strip off other appassimento wines being made in Niagara, especially when factoring in the prices being charged for these wines. Wineries who make appassimento wines argue that when you dry grapes you are lowing the yields and that results in higher prices for the wines. For Len Crispino, he could take comfort in the fact that his wines do quite well in competition and blind tastings. At Brock’s Experts Tasting on March 1, for example, no less than three of his wines found their way into final flight of wines. His 2010 Riesling, which sees some drying of the grapes, made it to the final Riesling flight (all wines are judged blind, by the way) with some heavyweight Rieslings including three of Charles Baker’s wines and the Cave Spring CSV. The Foreign Affair The Conspiracy 2012 and The Foreign Affair Pinot Noir 2009 also made the final seven in the categories of Options and Pinot Noir, respectively. Obviously, Crispino and his crew are doing something right. “Our goal every year is to push the envelope and try new things, explore the family of products,” Crispino told me during a recent portfolio tasting of his new wines. Here’s what we tasted with new winemaker Barclay Robinson and Crispino. The Foreign Affair Sauvignon Blanc 2010 ($28, winery, 89 points) — 20% of the fruit is dried and the wine sees five months of French oak aging. The nose is expressive with tropical fruit, grapefruit, spice, citrus and dried herbs. The mouth reveals exotic papaya, guava and mango fruits with citrus and light vanilla and spices. It’s perked up by juicy acidity through the finish. The Foreign Affair Chardonnay 2010 ($27, winery, 89 points) — 20% of the fruit is dried and then 100% aged in French oak for 10 months. This is what you would call a full-bore chard with a rich nose of poached pear, pineapple, nectarine, creamy vanilla and lavish oak-inspired spices. It’s a bold, in-your-face wine with mouth-filling and lush fruits all bolstered by creamy-spicy notes through the finish. The Foreign Affair Petit Verdot 2010 ($50, winery, 92 points) — With partial appassimento and finished at nearly 15% alcohol, this is no shrinking violet. It lights up the nostrils with kirsch, black cherry, chocolate éclair, tar, black licorice and graphite. This has amazing depth of flavour, chewy and sweet tannins, layers of fortified fruit and the stuffing to glide happily into a long and beautiful life. Hedonistic comes to mind. 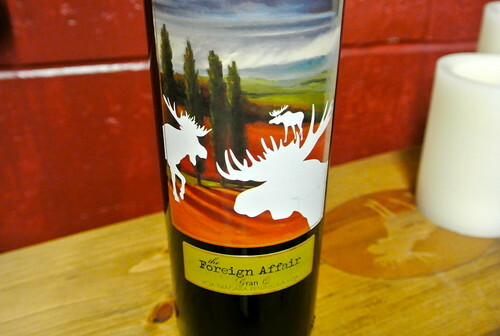 The Foreign Affair Dream 2011 ($30, winery, 90 points) — Made with 25% dried grapes, it is a blend of Merlot, Cab Franc, Petit Verdot and Cab Sauv. A lovely, rich and bold nose of cherry-kirsch, cassis, black currant jam, oak spices and earthy notes. At almost 15% alcohol, it’s a big wine with the fruit to back it up. Look for cassis, cherry, plum, anise, eucalypt and well-integrated herbs and spices that are layered on the palate. A healthy dose of acid and fine tannins add to the pleasure. 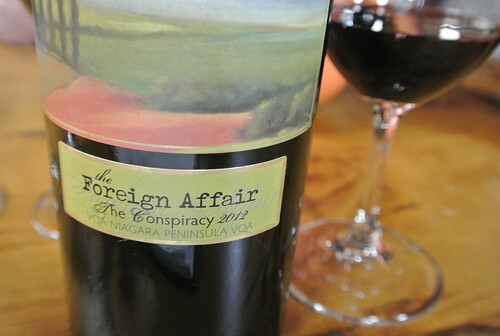 The Foreign Affair The Conspiracy 2012 ($20, Vintages, 90 points, previously reviewed) — This is the fourth vintage for this popular Ripasso-style Cabernet Sauvignon/Cabernet Franc blend. To add complexity the wine was ‘passed over’ with Cabernet Sauvignon and Cabernet Franc skins from appassimento (dried) grapes. The nose displays blueberry, cassis, plum, black currant and kirsch aromas with subtle vanilla and spice notes. It has firm structure on the palate with sweet blueberry fruit, currants, licorice, tar and spice notes. It’s a juicy wine with pretty good acidity and tannins that will evolve further in the cellar. The Foreign Affair Gran Q 2010, Niagara ($150, winery, 93 points) — This is Foreign Affair owner Len Crispino’s dedication to Giuseppe Quintarelli (now deceased), Valpolicella’s most famous maker of Amarone wines. Quintarelli is his hero, the one who inspired him most to follow his path in Niagara. He and his wife Marisa flew to Veneto unannounced to see if they could talk to Giuseppe about making Amarone wines in Canada. Crispino was granted a meeting with the winemaker but arrived a half hour late because the winery is unmarked along a secluded road. Once he found the home and winery of Giuseppe he was made to wait a half hour (the amount of time he was late) before he got a few words. “He told me to ‘follow my dreams and you’ll get what you want,’ ” laughs Crispino. 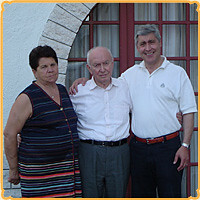 He left but not before asking for a photo (at left), which Giuseppe insisted must be taken with his wife as well. The Gran Q, made from 100% dried grapes, is one of the biggest wines I have tasted from Niagara, made from grapes (Cab Franc, Cab Sauv and Merlot) dried for an average 90 days. The wine was aged for 24-28 months in 80% new French oak. The nose is astonishing; gobs of black currant compote, rich, thick cassis, leather, graphite and sweet spices. The whopping 17.5% alc on the palate is backed up by luxurious, sweet and complex dark fruits, well-defined tannins and an array of spices that echo on the finish. Drink heartily, but serve with grilled red meat. 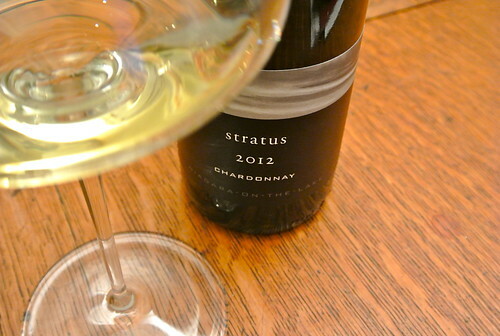 Stratus Chardonnay 2012 ($48, winery, 91 points) — The Stratus 12 Chardonnay follows in the footsteps of the opulent 2010 Chardonnay with poached pear, vanilla, toasted oak accents and spice on the nose. It’s another rich and textured style of Niagara Chardonnay, with 100% wild fermentation and full malo that Stratus is championing with succulent and highly extracted fruit, beautiful oak spices, buttery-vanilla notes and fairly decent acidity. It’s a big, fleshy style that shows the vintage and puts the ripe fruit front and centre. 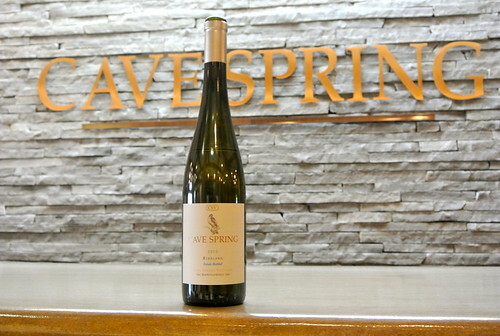 Cave Spring CSV Riesling 2010 ($30, winery, 92 points) — Winemaker Angelo Pavan has always attempted to make the winery’s top Riesling in a style that ages gracefully. The fruit originates from the limestone-rich soils of the Cave Spring Vineyard, located on a terrace of the Niagara Escarpment on the Beamsville Bench. It is sourced from the two oldest, lowest-yielding blocks in the CSV Vineyard, ranging from 32 to 36 years in age. The nose is complex with slate minerality, quince, lime, grapefruit and lanolin notes. It is enthralling on the palate with concentrated and ripe flavours of citrus, tangerine, grapefruit and emerging minerality that is intense and persistent through the finish. Despite the heat of 2010, there is still vivid acidity to lift the flavours and promise another long life for this iconic wine. The minerals should emerge fully as the acids soften over time. Another beauty. Vineland Estates Sauvignon Blanc 2013 ($17, winery, 89 points) — This makes me dream of summer in this endless season of winter in Niagara. The nose shows bright grapefruit, grass, tropical fruits and wild herbs. It’s fresh and brash on the palate with citrus, grapefruit, passion fruit and lemon grass notes. A great summer sipper. Vineland Estate Elevation Sauvignon Blanc 2013 ($20, winery soon, 90 points) — A bit rounder and more complex than the regular cuvee with melon, tropical fruits, grapefruit and spice made in the “fume” style. It’s juicy with texture on the palate to go with tropical fruits, some wonderful spice notes and still maintaining a vibrant core. Lovely, but should be noted that this was just bottled when tasted.